Keenerd (aka Kyle Keen) recently ran a fundraiser to support him to work on improving the RTL-SDR driver and related software. A few months ago he released an update to the driver which made some improvements including some tweaks by another programmer teejeez that optimized the R820T’s filters which may help with out of band aliasing. The list of issues he is working on and has completed can be found at http://igg.kmkeen.com/. To use keenerds drivers on Windows with SDR# you can go to http://igg.kmkeen.com/builds/, and download the latest build zip file. Then simply copy all the non .exe files into the SDR# folder and rename librtlsdr.dll to rtlsdr.dll. We recently tested the new drivers and show screenshots of the difference below. Nearby to the marine weather report frequency used in the screenshots is a very strong pager signal which causes significant interference. With the gain turned up on the original drivers the entire band is wiped out when the pager signal is transmitting. With keenerds drivers most of the band is usable and the weather signals can be heard. 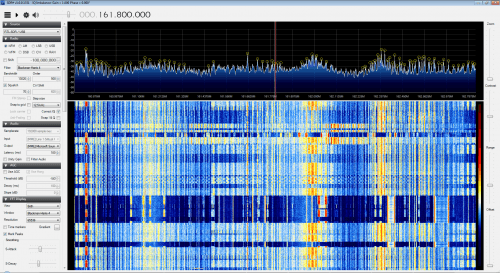 There do seem to be some issue with what looks like WFM interference appearing now however. Testing at other frequencies with nearby strong signals also seem to show that aliasing is significantly reduced. 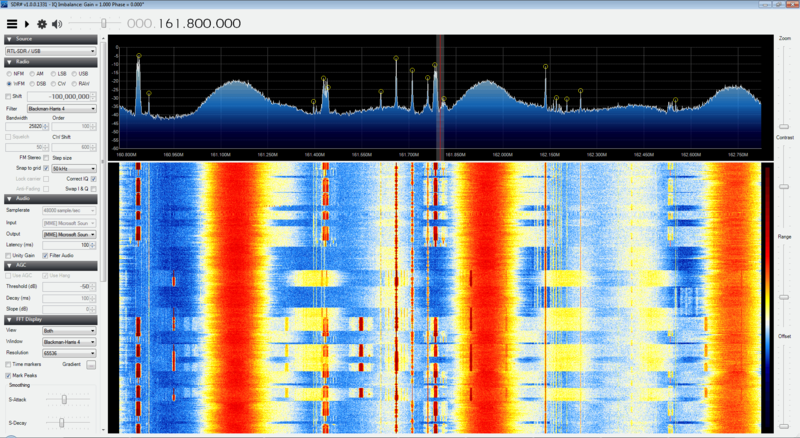 We also noticed a lower noise floor at some frequencies resulting in about a 2-3 dB better signal. However, we also noticed that the noise floor was raised slightly at some other frequencies. We suggest you give keenerds drivers a try and comment with any improvements or issues you see. I try it myself and i could not see any difference between. May i not use the current version “just” an previous of SDR#?! Does anyone try it with ACARSDECO2 or RTL1090? 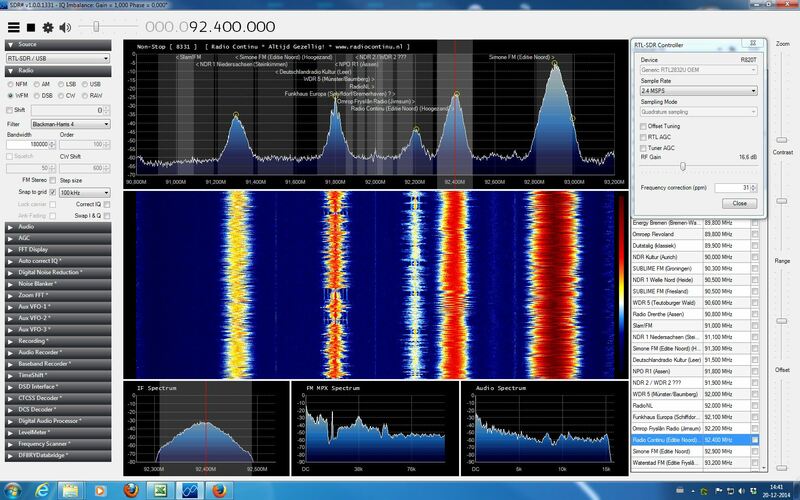 They do work for r820t2, try a fresh install of sdrsharp, then copy the files over,and rename librtlsdr.dll to rtlsdr.dll. I have the r820t2 from nooelec, and it works just fine, I do see an improvement in signal as well. 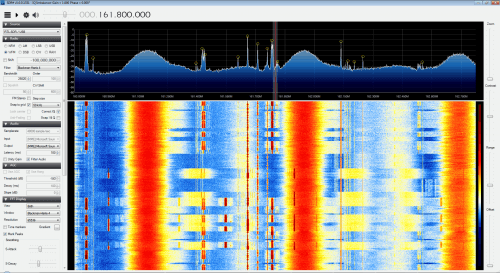 Can’t get these drivers working, sdr# says that “1 device found but busy”. I believe these drivers only work for the R820T/2 tuner, not the FC0012. The signal/interference above the shown noise floor is better with the new drivers but the interference below the noise floor (when RXing weak signals) is worse which is noticed with long cross-correlations for example. Antenna is a simple open dipole (Rabbit Antenna 88-108 MHz) for testing. I try it with my new T2 Dongle i cant see any difference between. Does anyone try it with Acarsdeco2? Well, with this drivers I get slightly less interference in 147-168 MHz and broadcast FM bands. 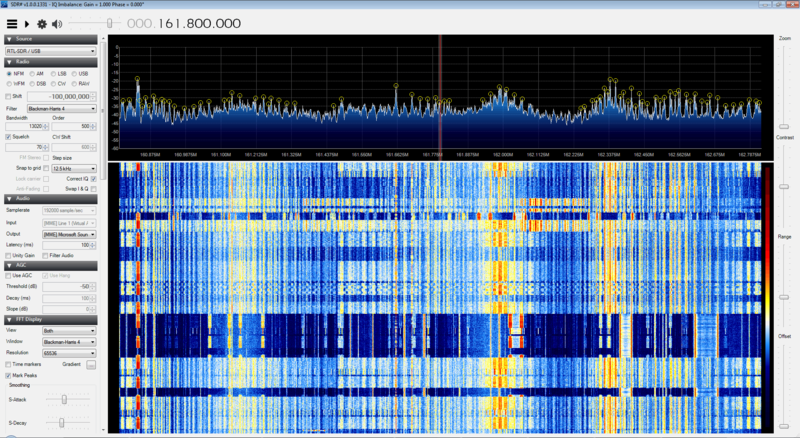 I live at 500m from a 1000W FM transmitter, and its interference was annoying. If the Dev adds the gain controls from the other driver (mentioned in this site), this could be a BIG improvement over the original driver. December 20, 2014 - 6:26 pm Lord K.
Does anyone care to build a dll for these driver with the low frequency tunning branch? This works great with the R820T dongle, a short test and it looks very good! I wonder if this modified version is also available for linux, how to install in place of original rtl-sdr and if would suppose an improvement software as dump1090, rtl_acars , rtl_433, etc. Yep it is available for Linux, you just need to compile it yourself from the GitHub repo. You mean the one here: https://github.com/keenerd/rtl-sdr ? 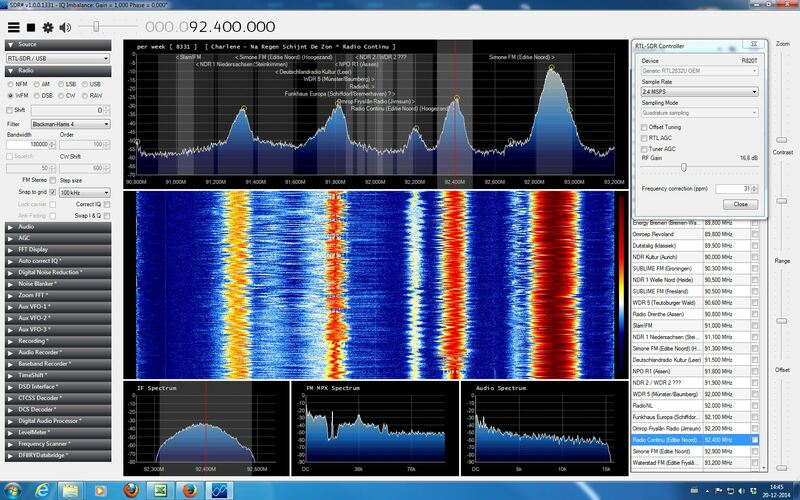 Which of those is going to be this improved version (using gqrx in Linux)? Comparison between the two would have been a bit better if the settings had remained the same. The settings are the same, what do you see that’s different? Oh I see, those settings are not relevant to the test. The test was looking at aliasing on the waterfall, not audio. Sorry… my brain was melting. I was looking in the wrong place. I just could not believe that those two images were the same chunk of bandwidth. Wow… I gotta try this driver. I have been using this driver and am happy with it. Definitely helps reduce aliasing. Doesn’t work at all with E4000, you’ll get an error message.